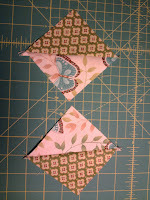 ﻿The next step is to to make half-square triangle blocks. 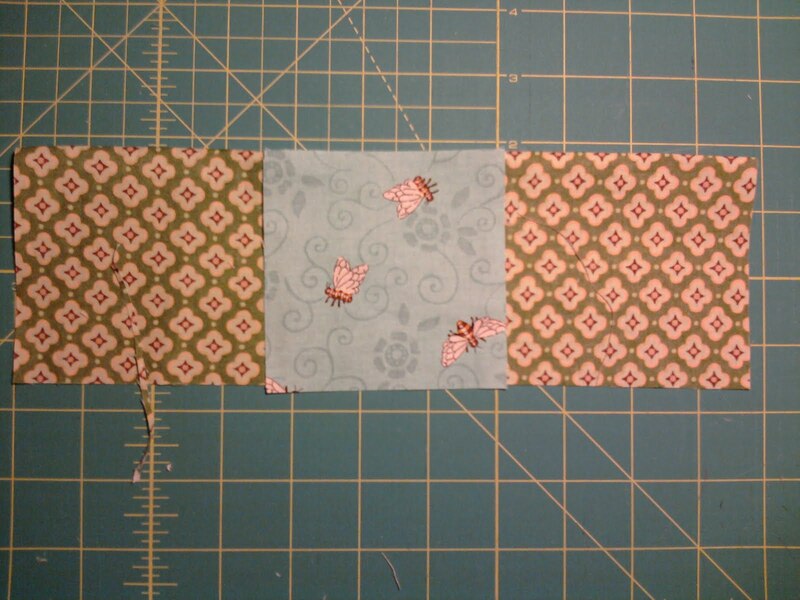 You will need to cut 37/8 inch squares from 37/8 in strips. 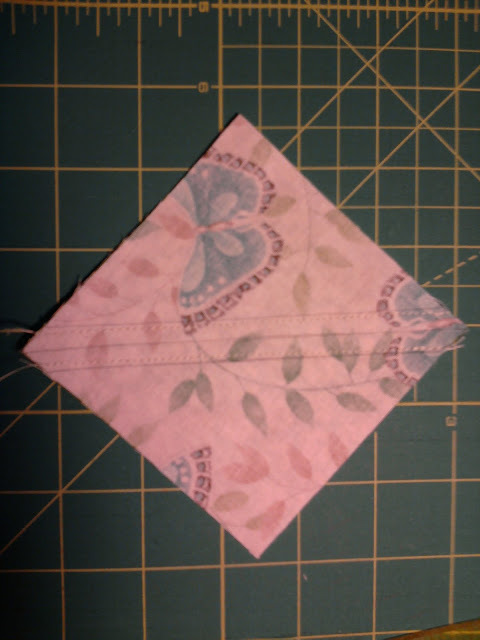 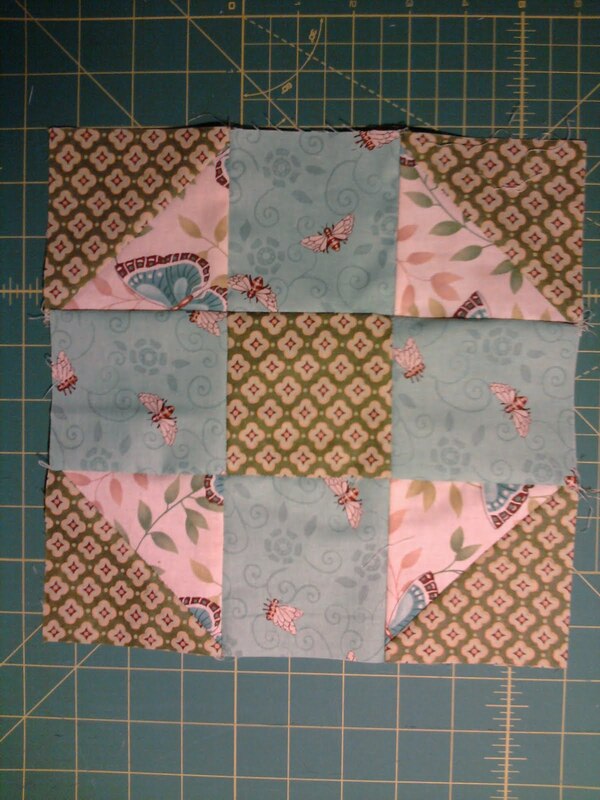 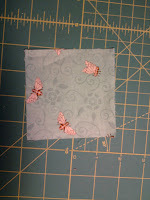 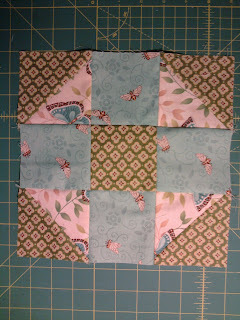 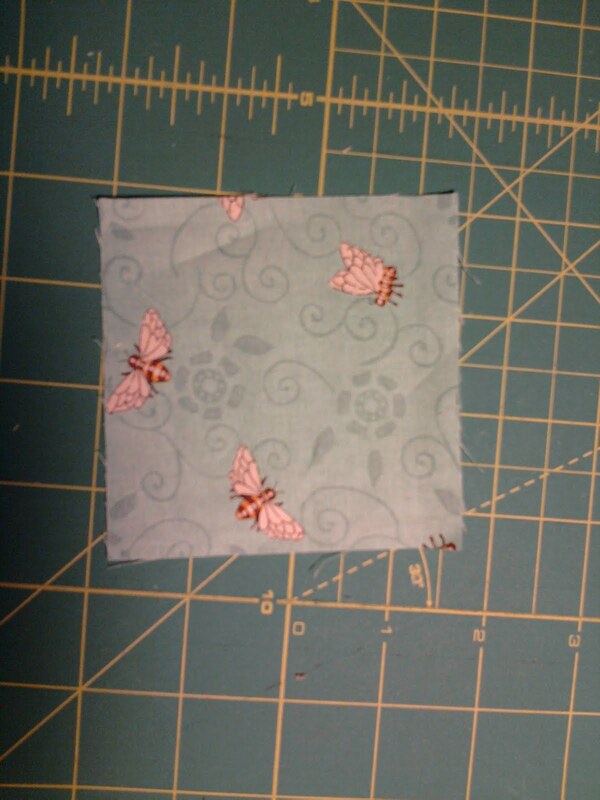 Place the two squares with right sides together and stitch just inside of of each outer line. Cut the square in half down the center line. 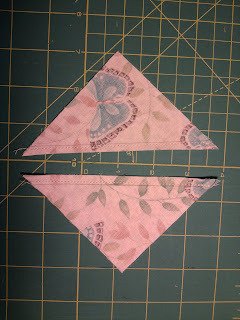 Iron each half open to make 2 half-square triangle blocks. 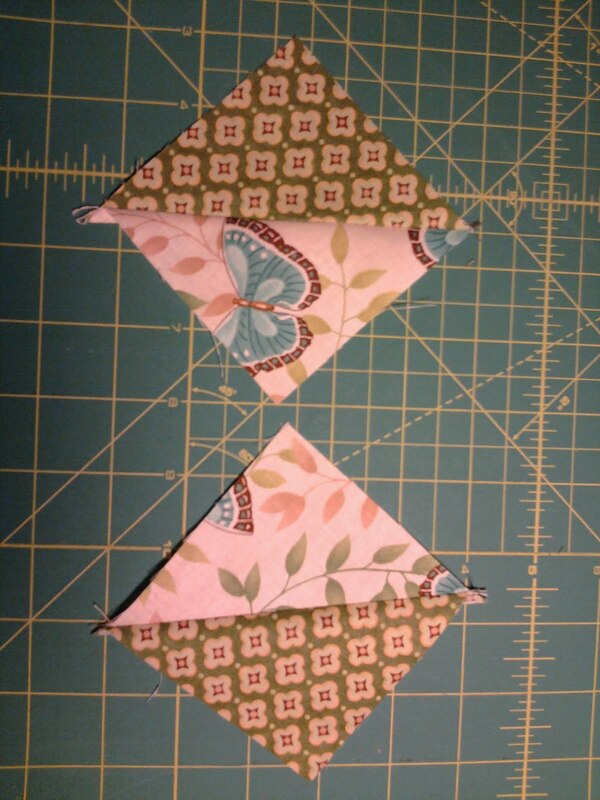 Repeat the half-square triangle blocks, as you will need 4 to complete the block. 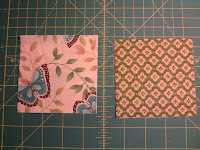 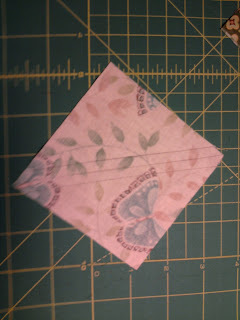 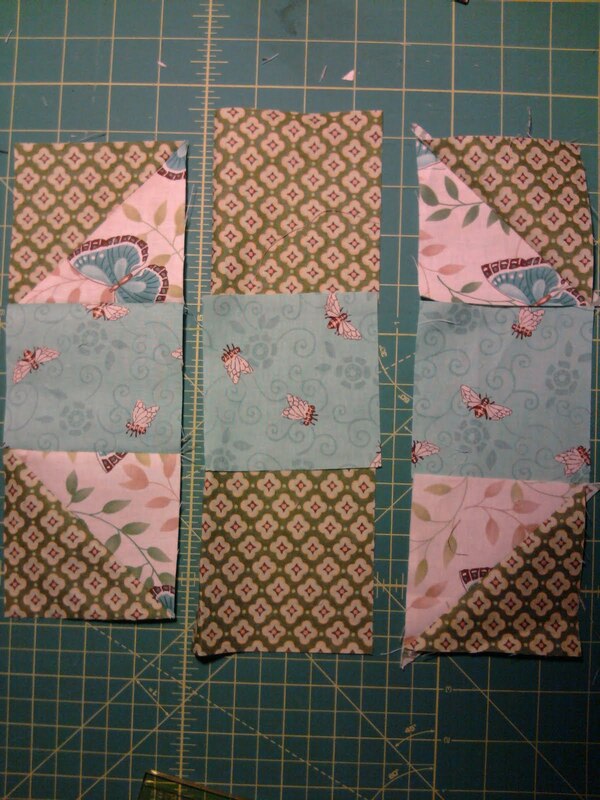 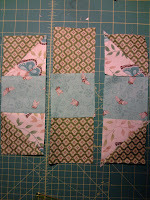 Cut 31/2 inch squares from the same fabric in the center of the middle strip illustrated above. Two half-square triangle blocks at opposite angles with a middle square in between. 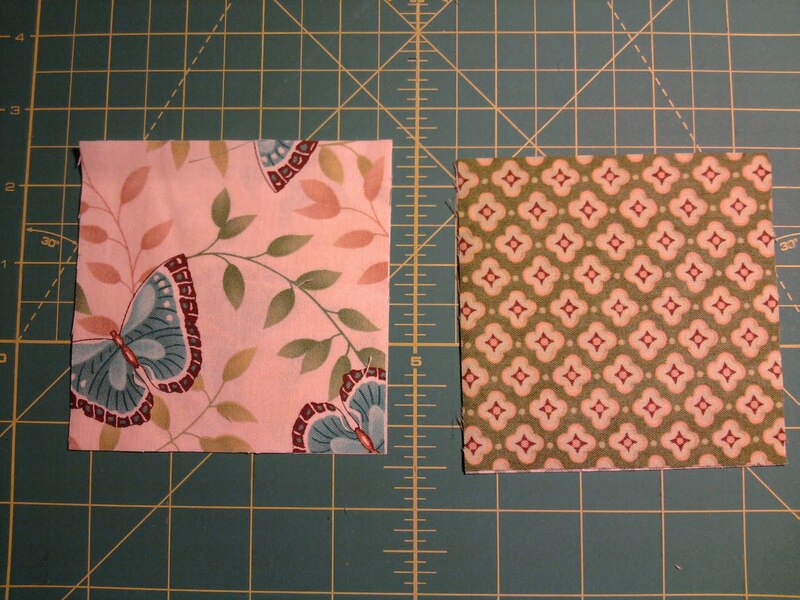 (in the picture on the left, these are the strips on the left and right of the center strip.) 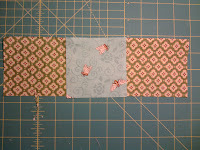 Sew all three strips together in the order in the picture to the left.